By Bus: Bus numbers 47, 53, 89, 177, 188, 225 and 453 stop near Laban. By train: Charing Cross, Waterloo East or London Bridge Stations to either Deptford or Greenwich. (Please note if travelling from Charing Cross or Waterloo East, you may need to change trains at London Bridge). Second year undergraduate students from Trinity Laban Conservatoire of Music and Dance present two programmes of diverse and original choreographic work. 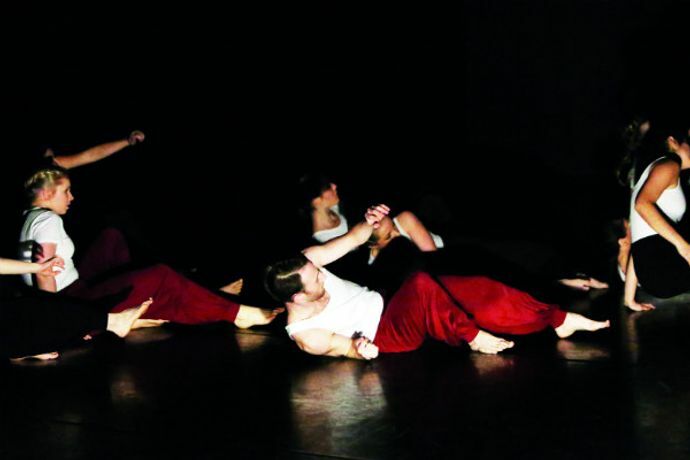 Second-year undergraduate students from Trinity Laban Conservatoire of Music and Dance present two programmes of diverse and original choreographic work. The shows may include site-specific pieces. As these can only be viewed by a limited number of people at a time they will be shown on several occasions during the evening. Please ask at the box office for details when you arrive at the venue.